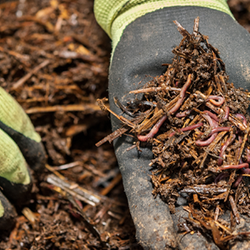 How do you like your compost—hot, cold, or worm? Many gardeners know that growing a successful garden takes patience, care, and, depending upon your soil, compost. And like the three bears, some like it hot, some like it cold, and some like it worm. Yeah, worm. Where I live in Central Oregon, thanks to the region’s past volcanic activity and layers of ash, the soils are low in organic content and have poor moisture holding capability. Root crops such as potatoes do fairly well, but to increase yields we add a blanket of compost to all our beds. This improves soil tilth—a great word that refers to the physical condition of the soil and how suitable it is for growing crops. But not everywhere is the same as Oregon; some areas might just need a top dressing, while others might require several square yards of compost, depending on where you live. So, read up on these three varieties of compost to decide which will suit the specific needs of your soil. So, let’s start with cold. 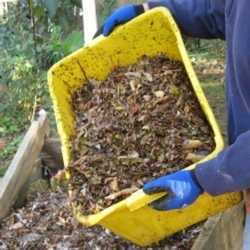 This style of composting is probably what many gardeners employ. It’s the pile of yard and garden waste that is piled up in some corner and forgotten about. Or maybe, new layers of waste are added atop the old and it’s a “let Nature do its thing” sort of technique. Overall, it's simple and generally low-maintenance. This type of pile might take a year or two to breakdown to the point where there is actually compost. The larger the material, the longer the wait. Depending upon your patience, material in the bottom of the pile will eventually decay and be usable, although it may contain fairly large particle size. Though some may think this is the “lazy man’s” way of composting, I don’t like to think of myself in those terms. Plus, this style does still have to be carefully maintained, as plant pathogens will thrive in the pile without heat to kill them off. Fortunately, I live in a town where the local garbage hauling company has a composting facility at the landfill. The company that runs the facility uses a hot composting method to cut the time it takes to produce usable compost. Their specific method, called an aerated static pile method, uses green material that is chopped up and piled over a bed of wood chips. The chips provide air circulation from the bottom to the top of the pile which speeds up the process to five to eight months. 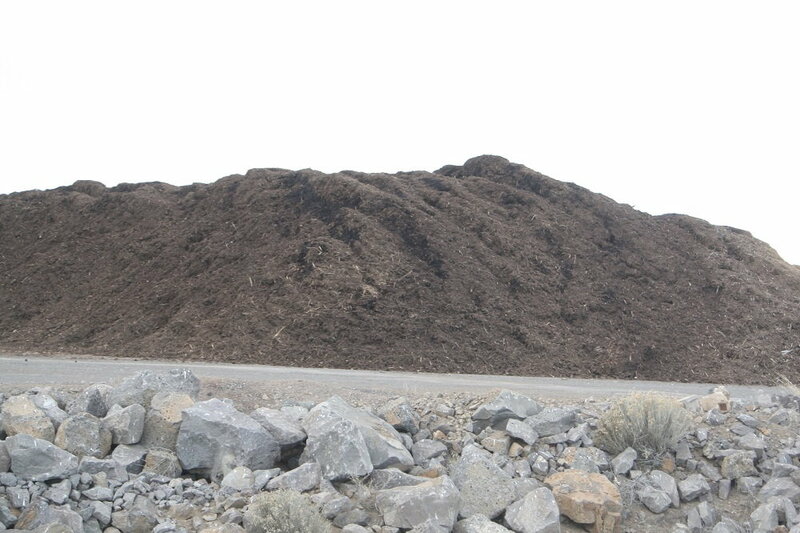 They constantly have piles in various stages of composting and, twice a year, offer a free or half-off discount for dumping green waste at their facility. This provides them with a huge surplus of material. On a much smaller scale, gardeners can use hot composting to produce material faster as well. The trick with this approach is to construct a pile using the proper mix of brown materials and green materials to maintain an ideal temperature that will cause the pile to decay at a quicker rate. Brown materials are things like wood chippings and twigs, while green materials are things such as grass clippings and fruit and vegetable waste. These should be mixed in a larger pile, which will need to kept moist (but not damp) to achieve the desired temperature. The pile will need to be turned at least once a week as well. Some folks use pallets or wire to build a three-sided enclosure to keep their yard waste in. If you do this remember to provide enough space so that you can get at the pile with a shovel without having to fight the enclosure. Some even build one or two of these enclosures next to each other so they can turn the pile by tossing it over into the other bin. 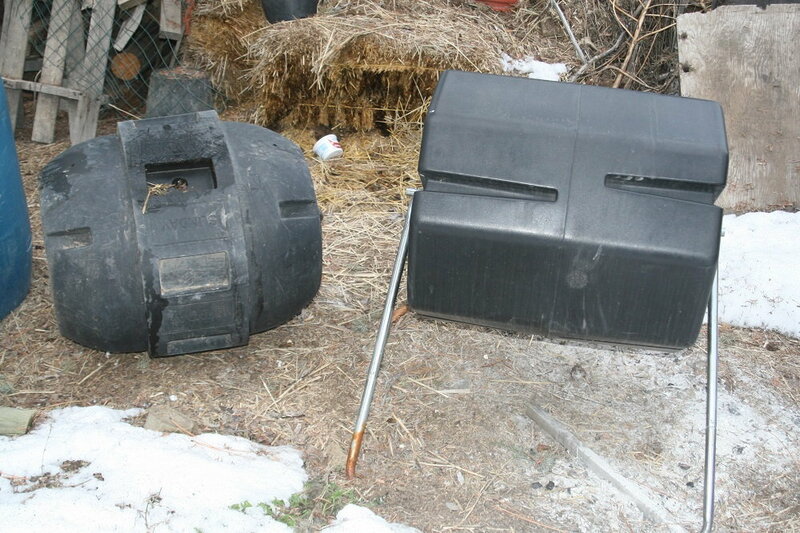 Different backyard compost bins can speed up the process. Often dark in color to absorb sunlight, these units allow for easy turning of the pile and have aeration holes for airflow or for adding some water. Time frame from start to finish will depend upon how finely your materials are chopped and how often the pile is rotated. Barrel-shaped bins mounted on a frame are easy to turn and to allow the material to mix and speed up the process. I have one octagonal barrel that stays on the ground and has the days of the week stamped into the sides. Sort of a reminder that last Thursday I was supposed to roll the barrel and rotate the contents. Lastly, there is worm composting or vermiculture. This method employs red wiggler worms, not earthworms, that they live in some type of container. Yard and food waste is added to the mix and the worms plow through it. Though adding compost to enhance garden soil is a common chore, gardeners may want to invest in a soil analysis prior to doing so. Knowing the pH and composition of your soil sets the foundation for any successful garden. Since soil pH affects a plant’s ability to uptake nutrients, not all crops require the same conditions. Other amendments may also be necessary to balance out minerals and key elements that your plants need to ensure proper growth and good health. 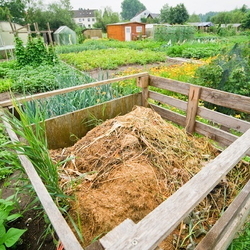 Adding partially composted material to the garden as a top dressing may also be a good idea. This enhances the biological component of the soil, feeding the worms and insects. So no matter the type of compost gardeners add to their soil, the benefits will reveal themselves during the growing season and in the harvest.